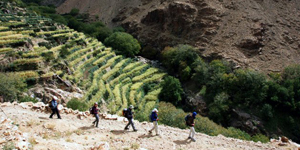 A trek up Jebel Toubkal is the main, but by no means the only objective on this great new trekking holiday. Whilst some may be content just to ‘bag’ North Africa’s highest peak, our unique High Atlas trekking itinerary avoids the busiest trails and immerses you in the land of the Berbers. Leaving Marrakesh we make a short drive to a valley in the heart of the High Atlas to begin our traverse of the Toubkal Massif. 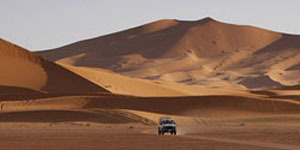 We trek from the east through isolated valleys, crossing high passes and camping in high pastures or by rushing streams. 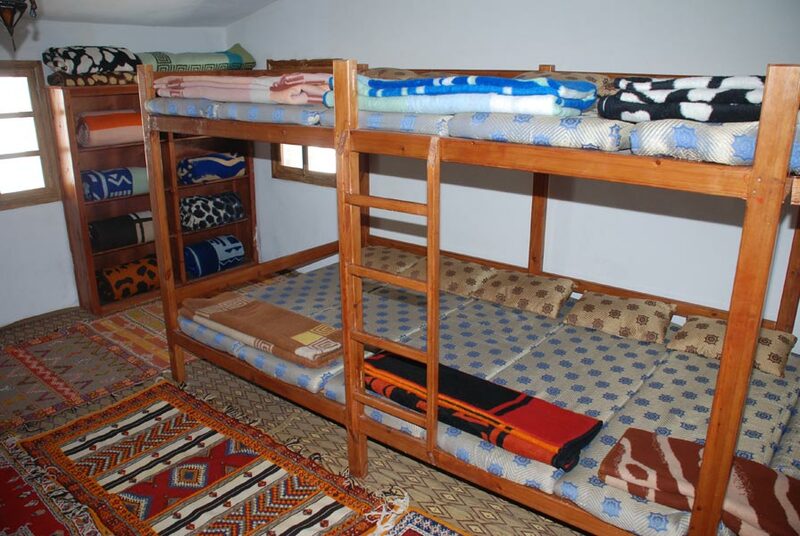 In the village of Amsouzerte we enjoy the added comfort of a local gite (mountain refuge) before continuing our High Atlas trekking via the turquoise waters of Lac d’Ifni to cross the Tizi n’Ouanoumss pass at 3,664m/12,010ft. Fit and acclimatised, the trek to Toubkal’s summit is now a straightforward climb, which rewards us with views over the High and Middle Atlas and occasionally the Sahara beyond. 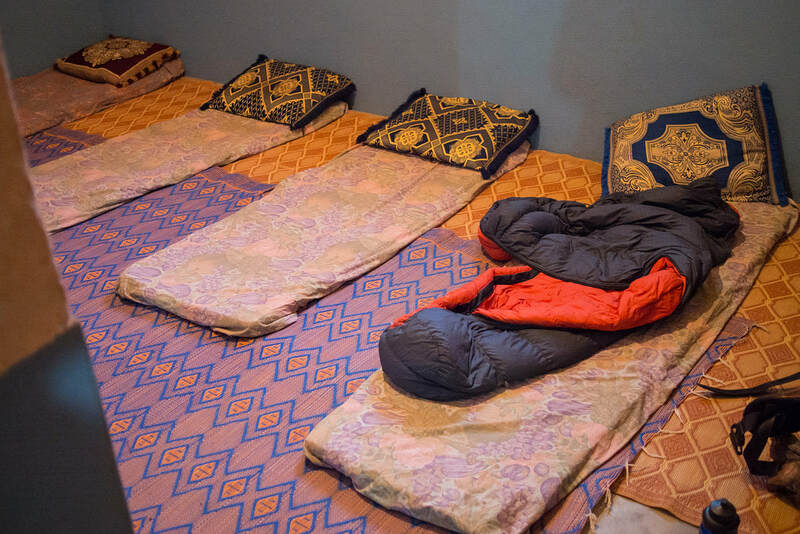 Over two more days trekking in the High Atlas we complete our traverse westward, enjoying a traditional Meshui feast and perhaps a hammam (steam bath) before leaving the trail and heading back to enjoy the sights and sounds of Marrakesh. DAY 3 : Azib n Tikkent - col Tougdalt (2 700 m) - Azib n Tamsoult (2 250 m) camp.We cross the Tizi ‘n Tagoudalte pass (2,700m) from where we have views of the western High Atlas mountain range. We then have a long descent through alpine areas overgrown with wildflowers and herbs, and follow a river past terraced fields and groves of walnut trees, to Azib n Tamsoult (2 250 m). Overnight in a gite.6 H walking. DAY 7 : Refuge nelter- col Ounamous (3664m) - lac Ifni (2400m) - camp. You ascend out Tizi Ouanoums Pass 3600m towards the ‘Lake d'Ifni"’ on he Tifnoute Valley.we spend a night on the camp near the lake. DAY 8 : Lac Ifni- Amsouzart - camp. 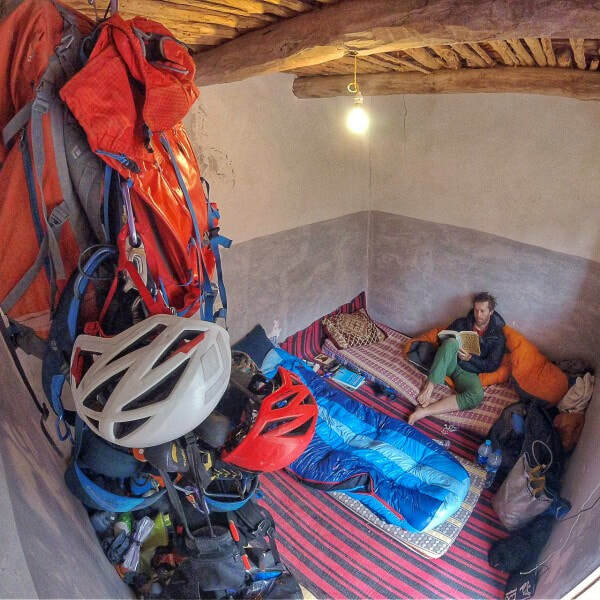 Today is the easy one, after the brakfast we start going down to the beautiful valley of Tifnout to reach the typical village of Amsousart, 1730m, we spend a night on the berber house, free afternoon to explore the surrounding .4H/Walking. DAY 9 : Amsouzart - col 2900m- Azib Likkemt 6h30 camp at 2600m.